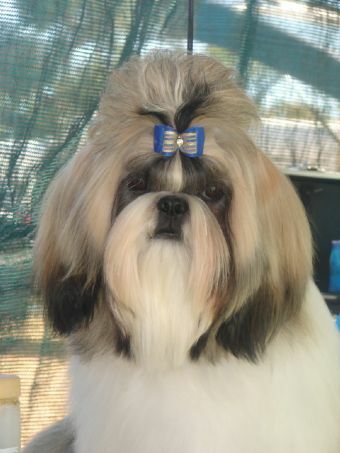 Nicholas has gained enough points to be a Australian Champion at 9 months of age. Nicholas is winning Dog Challenge Line Ups against much older dogs. Nicholas loves to strut his stuff and moves like lightning in the ring. 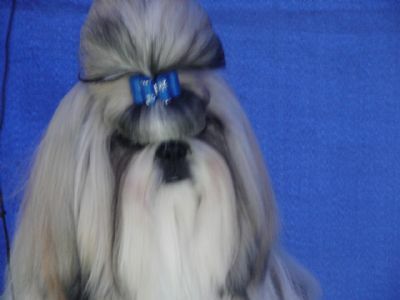 Nicholas is a stunning Shih Tzu, True to type with perfect markings, Black eye stripes, Perfect teapot tail. Nicholas gives me 100% in the ring.